In a work session held August 7th, Lehi City Council heard a presentation by Brynn Mortensen, a representative of the Salt Lake Chamber of Commerce, on the lack of affordable housing in Utah. The presentation was the result of a landmark study done by the Kem Gardner Policy Institute and the David Eccles School of Business under the direction of Natalie Gochnour. The study was compiled by James Wood, Dejan Eskic, and D.J. Benway. Utah is having a construction boom with the construction of the new airport and other developments. Labor costs are high. Development and construction costs are high. The best developable land has been developed. Much of the land being acquired is difficult to develop because of topography and water constraints. 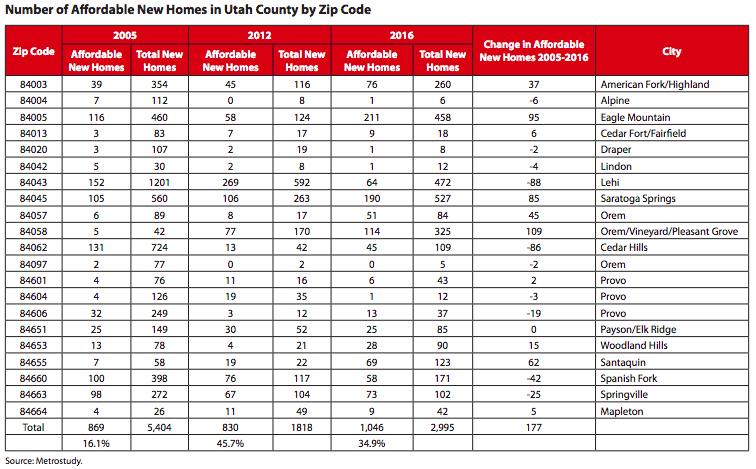 Local impact and permit fees are causing housing prices to escalate. (Mayor Johnson and council members questioned this.) Impact fee increased 26% between 2007 and 2017 across the state. Speculative investors drove up housing costs. Through their activity housing prices across the country were overvalued thus pushing affordability out of reach for many working families and would-be home buyers. Investors are buying lower-priced product, turning would-be-first-time owner-occupied property into rentals thus having a negative impact on homeownership rates. Ten acres would be developed within the first two years, with the other 10 being planted within the next five years. City provides access and approximately three acres of parking on the 20 acres. City provides access to power, water, and sewer. Arsenal provides portable restrooms until future development can occur with restroom facilities. A discussion ensued with City Council members showing enthusiasm for the proposal. Bart Preston, the presenter, said there are 1000 soccer players in Lehi. Currently, the Lehi-based club uses North Lake and Olympic Parks. The lower part of Peck Park was suggested as an area that could be developed. The Peck Family is currently in the final stages of rough grading the area mentioned. Mayor Johnson said, “We will need to create a road. I don’t like the idea of portable restrooms.” Preston mentioned that the Club could use 70% of the space and dedicate 30% to Lehi City and the Club would maintain 100% of the area. Dan Harrison, Lehi City Recreation Director said, “We have field needs.” Johnson added, “It will help to have a public/ private relationship,” He instructed staff to create a detailed agreement with Arsenal. There was also some discussion about the removal of flowering pear trees that had been planted along the planter strip along 500 West. According to city staff, the trees are causing the sidewalk to buckle. “We are trying to eliminate trees in park strips. They are problematic. These trees are in rough shape. We would like to provide resources for residents to plant their own trees,” stated a representative from the city. The old iron bridge over the Jordan River was also discussed. City Attorney, Ryan Wood said, “This is an attractive nuisance and it isn’t providing any use.” The issue of who owns the bridge has been investigated and it was determined that Utah County along with Salt Lake City have ownership rights. Mayor Johnson suggested the three entities, Lehi City, Utah County and Salt Lake City, work together to decide what to do. Councilmember Chris Condie said he would like to see it preserved. “Trying to preserve it is a fantastic idea,” he said. City Engineer Lorin Powell suggested that the bridge could be moved to another location. “Maybe we could move the bridge over the wetlands,” he suggested.